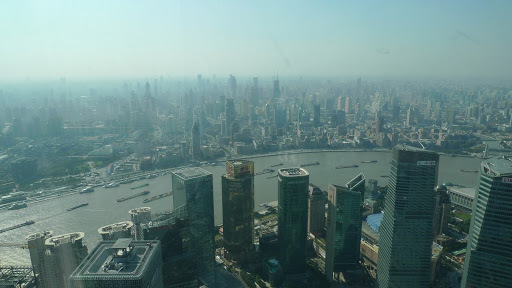 After disembarking our Yangtze River boat, then a coach to the airport, another internal flight (phew), a mini bus through Shanghai crush hour traffic (7.30pm, it never stops apparently), we finally made it up to our hotel room to find this stunning view. Very special. The magnificent view from our extremely comfortable hotel room. Our hotel was magnificent, right in the heart of everything. 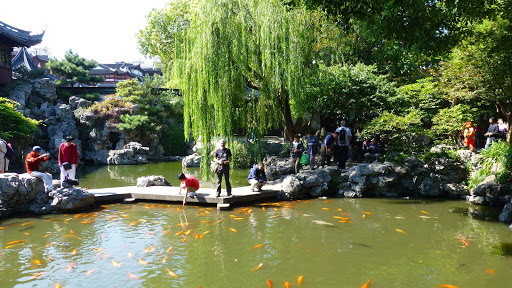 If only we had longer in Shanghai to enjoy it more. 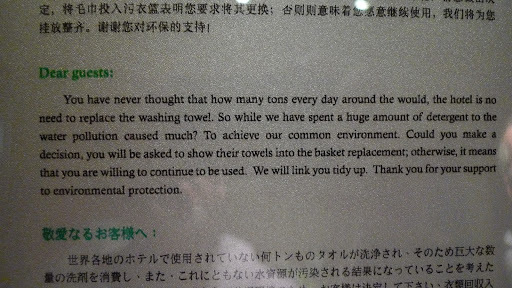 Our guest information in the hotel bathroom. I think we got the message. 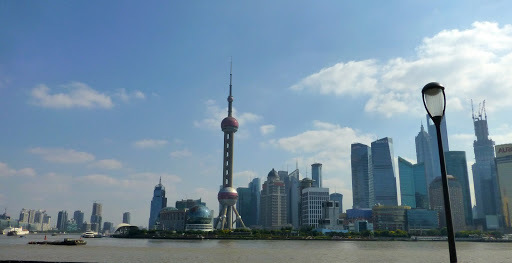 The Bund (“Wai Tan” in Chinese), the symbol of both old and new Shanghai, is a 4km waterfront boulevard along the western bank of the Huangpu River. The name “Bund” is derived from an Anglo-Indian term meaning “a muddy embankment,” recalling the flood barriers that used to line around it. 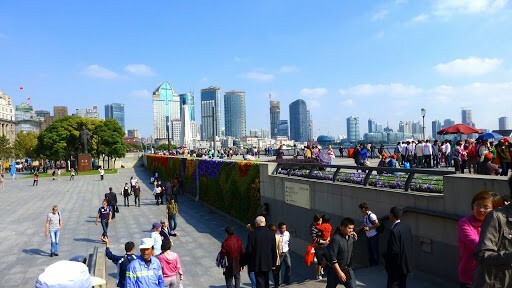 Lots of tourists around the Bund. We felt really comfortable in this space and I liked the different architectural styles including Gothic, Baroque, Romanesque, Classicism and the Renaissance. 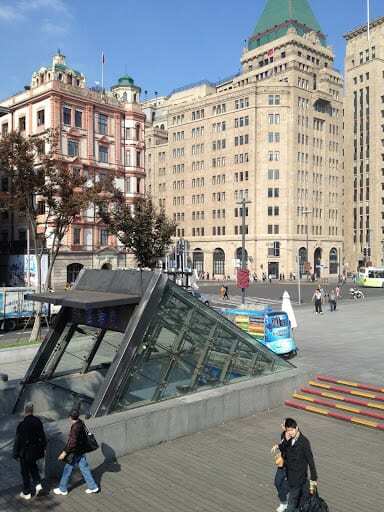 The dozens of historical buildings lining the river once housed numerous banks and trading houses from Britain, France, the US, Russia, Germany, Japan, The Netherlands and Belgium, as well as the consulates of Russia and Britain, a newspaper, the Shanghai Club and the Masonic Club. Brisbane doesn’t have the population nor the density of skyscrapers, but the style of the city and river reminded me of my hometown. It sounds strange, but looking across the river I felt a a similarity to looking across our own Brisbane River towards the Botanic Gardens Reach. Nothing like it of course, just the way the river snakes around the city. 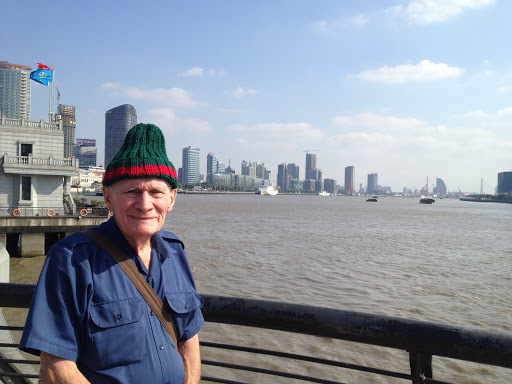 Shanghai population = 23 million, Brisbane population = 2.15 million. Bit of a difference. 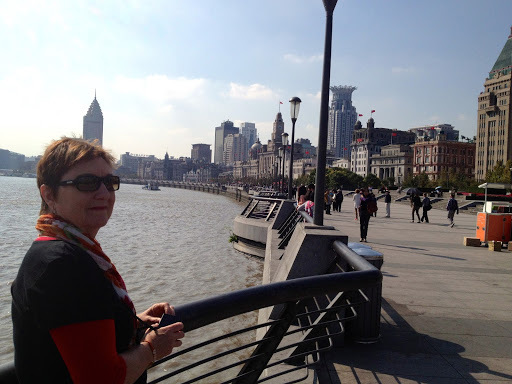 Sadly we didn’t get to spend much time on The Bund nor to walk the full 4 kilometers. Next time. 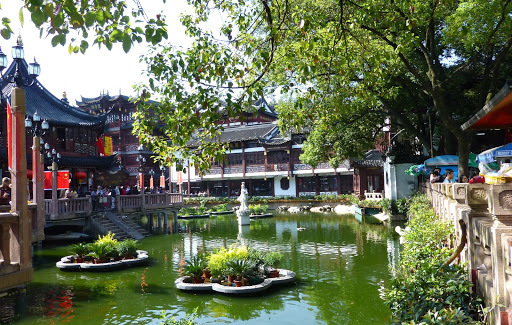 Yu Yuan Gardens is another well loved Shanghai institution, located in the center of Shanghai’s Old City, and is one of the few remaining old tourist sites in Shanghai. 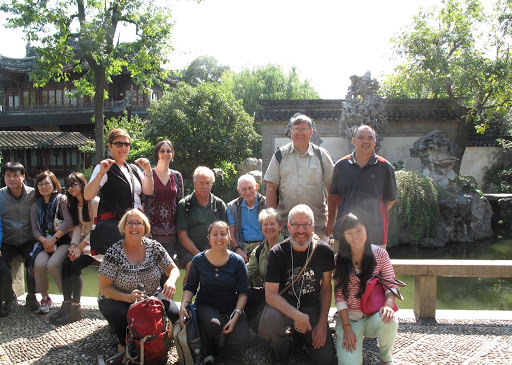 Here we all are at the Yu Yuan Gardens. Margaret wasn’t with us that day as she wasn’t well. 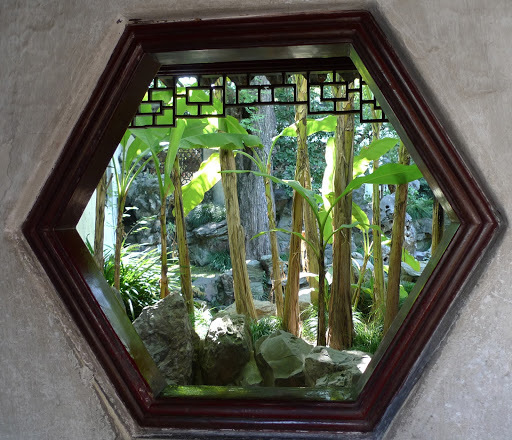 It’s a classic traditional Chinese garden originally designed in the mid 1500’s by a Ming Dynasty official for his parents to live in. Unfortunately the parents died by the time the son finished building the gardens and buildings (I can just hear his mother carrying on about how long it was taking him), so he ended up living there himself. One of the mysterious doorways into another beautiful space. 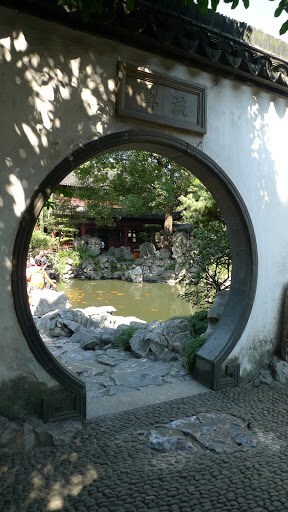 As soon as we entered the gardens we were struck by the beautiful landscaping. 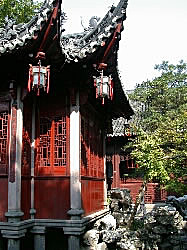 Built in traditional Chinese style with numerous rock and tree garden areas, ponds, dragon-lined walls and many doorways and zigzagging bridges separating the various garden areas and pavilions. Small ponds surrounded by rocks, trees and shrubbery. 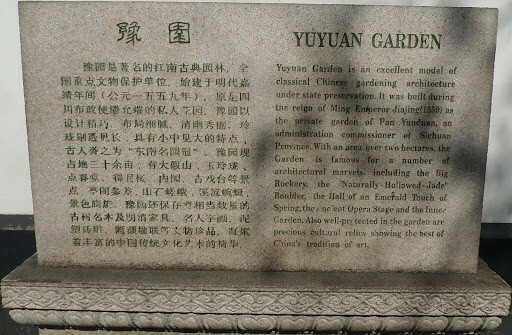 The English translation of Yu Yuan Garden is Garden of Contentment, and I reckon it lives up to its name. Now it just wouldn’t be a trip to Shanghai without visiting extremely tall skyscrapers. The tower is a very imposing 88 stories. Designed to withstand an earthquake of 6 on the Richter scale and the strongest level of typhoon. 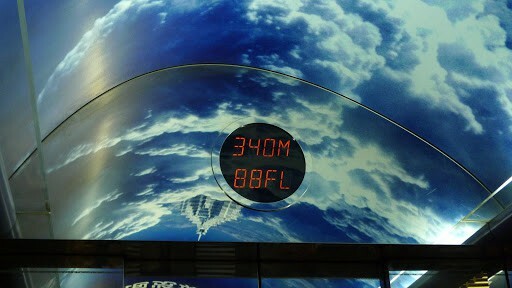 We zoomed up to the top level Skywalk, a 1520 square meter indoor observation deck, which is the tallest and biggest of its kind in the Chinese mainland. 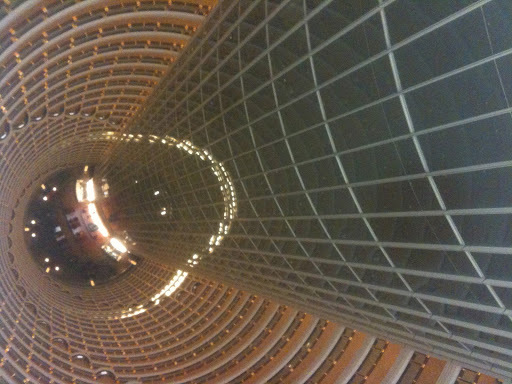 This looks down to the Grand Hyatt lobby on Level 53. Amazing. The Grand Hyatt Shanghai hotel occupies floors from 53 to 87, the world’s tallest five-star hotel in terms of distance from the ground, and has a 152m atrium lined with 28 corridors and staircases arrayed in a spiral. Really amazing to look down from the 88th floor to the 53rd floor hotel lobby. An incredible view (despite the smog). This one here is the tallest building in China at 101 floors. 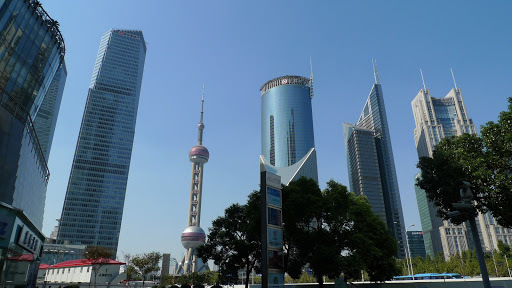 It’s the Shanghai World Financial Center, commonly referred to as the “bottle opener”. 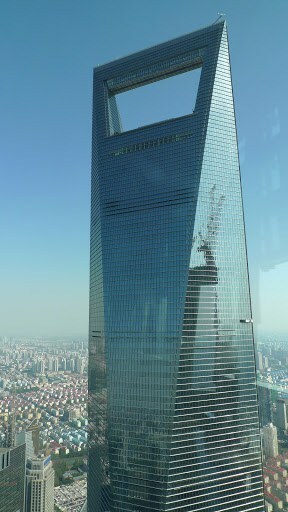 the Shanghai Tower, at 121 floors, 632 meters! 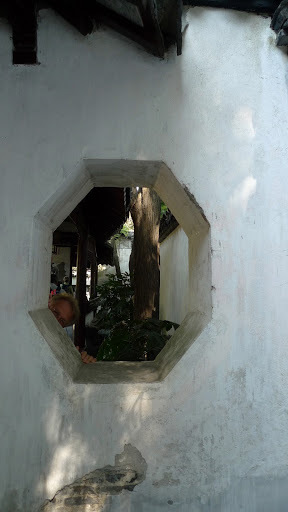 I held such high expectations for Shanghai and the only thing I was disappointed about was spending just 2 nights and 1 whole day there. Not nearly enough time to see much at all which was a real shame. I could easily have spent a week luxuriating in that hotel and beating the pavement every day getting to know this great city. We will definitely return to Shanghai! But for now it is onward to the next adventure of tea, tea and then some more tea. Thanks for coming back. We’re at the halfway mark now and the trip just got better and better.